A Spanish navy vessel ordered two ships to leave Gibraltar territorial waters on Sunday evening, according to local news provider the Gibraltar Chronicle. The two vessels, which were anchored inside Gibraltar waters, were told by the port authority to stay put. 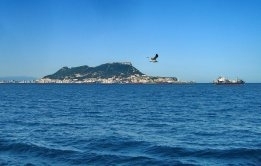 The incident stems from a long-running disagreement between the British and Spanish governments over Gibraltar's sovereighty. Bunkering activities at Gibraltar have also been a cause of tension. Ownership of Gibraltar was ceded to Britain in 1713. Gibraltar port authority was nominated for an award in the 'most proactive development of ports' LNG infrastructure' category at the small-scale LNG summit held in Milan this month. The nomination came out of the authority's membership of the MedCruise Association.